Make twelve 4 oz. bottles of scented hand lotion using natural ingredients. 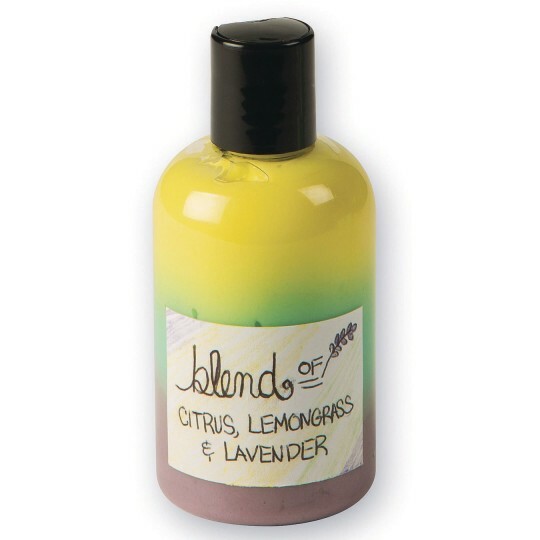 Shea butter and green tea are some the natural ingredients included in the lotion base and fragrance oils include Lemongrass, Citrus and Lavender. 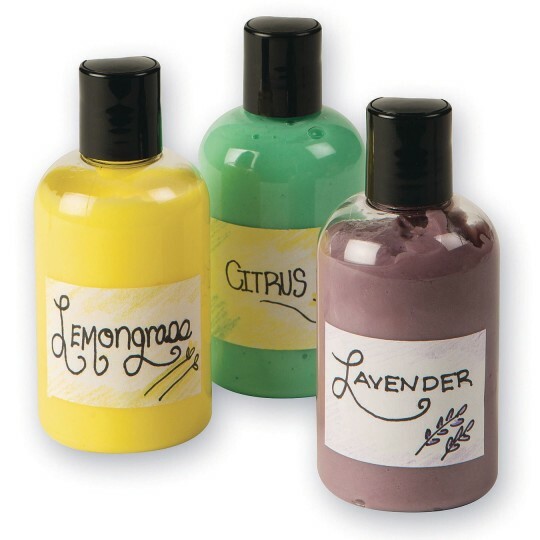 Kit includes lotion base, fragrance oils, liquid coloring, step-by-step instructions, funnel, lotion bottles and blank labels. 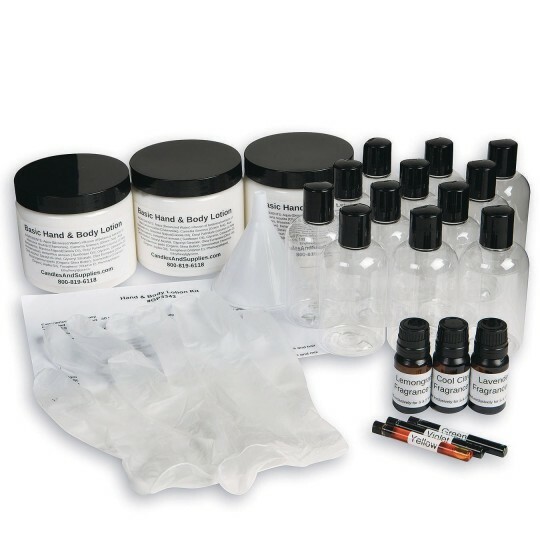 Some basic household supplies are needed for mixing.